An important part of Scott's life for many years, Scott's inhaler undoubtedly saved him countless times before becoming obsolete in 1x01 - Wolf Moon after Scott became a werewolf. It survived attempted trampling and a cold night in the woods alone with no apparent harm. 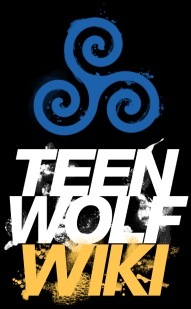 The inhaler features again in 3x12 - Lunar Ellipse when we see the night of Wolf Moon replayed from Allison's perspective. The fact that Scott no longer used his inhaler or seemed to have asthma after he was bitten was one of the many pieces of evidence that convinced Stiles that his werewolf joke might have been closer to the truth than he suspected. While Scott may not have accepted intially that being turned into a werewolf was a gift, he was quick to take advantage of all the new abilities he found himself with. No longer having asthma certainly improved his performance on the field. He complains about having an abnormal life and the difficulties of keeping himself a secret without seeming to appreciate the improvements this "curse" has brought him. In many respects, this is just what it means to grow up: old problems fade, new privileges and advantages are gained, new difficulties arise. 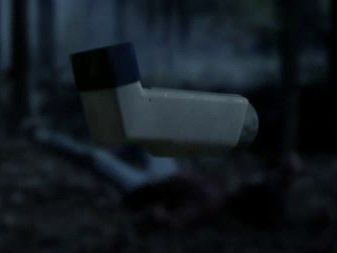 The inhaler shows up briefly again in 1x08 - Lunatic, as a way for Stiles to distract Scott from having a panic attack. His asthma hasn't come back, but thinking that his problem is an old one that he's capable of solving keeps him from spiraling into a panic attack.